Louie's Tux Shop offers more value for your Quinceanera than anyone else. With the finest selection of quinceanera tuxedos and accessories to compliment any dress color plus unmatched service you come to expect at Louie's Tux Shop. Stop in any of our locations and our staff will guide you through all the details and make sure your Quince is the very best ever! FREE Quinceanera Invitations by Carlson Craft! 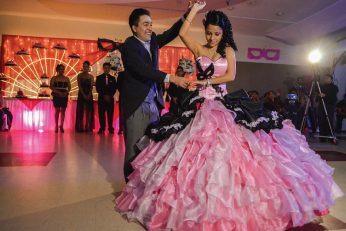 Register your Quinceanera here to begin looking for tuxedo styles and colors and begin finding our savings.